DEM Group has established a fast-growing network of 10 subsidiaries that are operating in 26 African countries on more than 200 Customers. When required, our 250 experienced service engineers can reach your job location to perform fast troubleshooting and fault diagnosis. Our modern equipment and special tools allow us to quickly restore your machine to full availability. 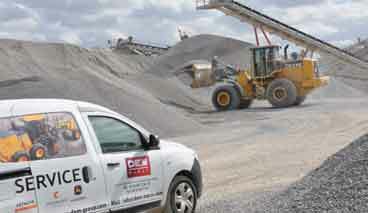 Our mobile teams have been trained to minimize downtime and to let our customer reach their objectives of productivity. WHAT PREMIUM SERVICE MEANS ? 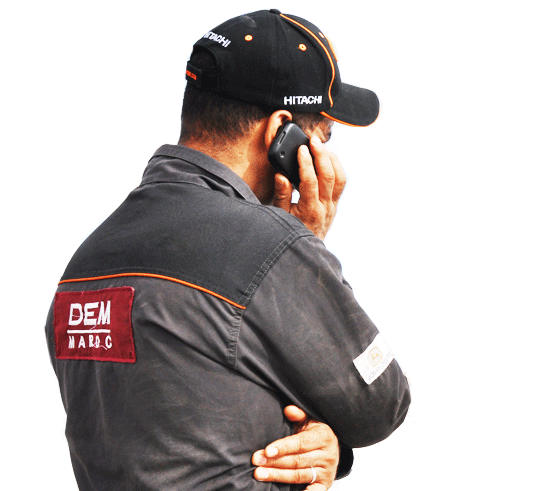 To manage a project in Africa can mean handling unregular incomes, challenging deadlines, … That’s the reason why DEM Group offers variable service contracts that can be changed at any time to evolve perfectly with your needs. A large panel of services. To adapt our services to the customer demand is not enough. Innovation in services is a key challenge to allow us anticipating needs of tomorrow. "We have a good relation ship with our customers, which is based on trust." "At DEM Morocco, we are customer-oriented. 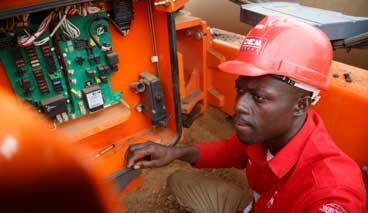 We take the time to listen to them and understand their requirements so that we can anticipate their needs." "Today we aim to deliver a Premium After-Sales Service and to commit a high availability of spare parts for our customers."